Britney Spears took the pop music world by storm in the late 1990s and to this day she still has dedicated fans around the world that are keen for anything Britney related. 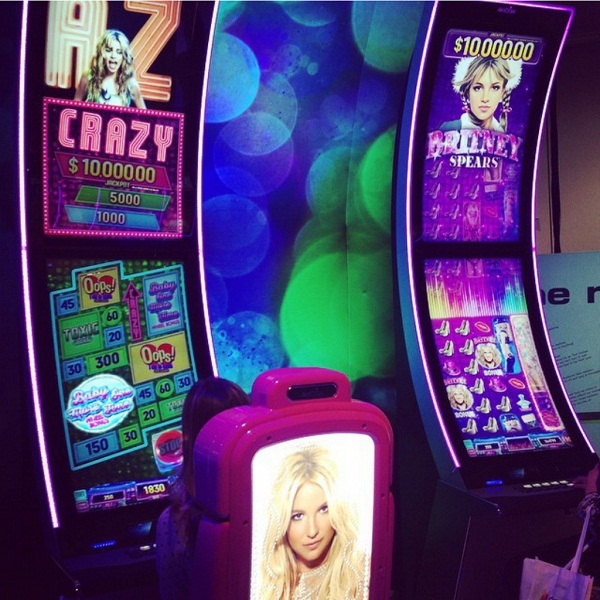 It is because of this that Aristocrat Games is developing a Britney Spears slot machine. The slot will feature a variety of different symbols, many of them are Britney from her various music videos as well as boots, microphones, jewellery, red lips and perfume. There will also be a variety of special features including free spins, wilds and multipliers as well as bonus games such as “Hit Me Baby One More Time” and “Oops! I Did It Again”. Furthermore, the game will reportedly be linked to a progressive jackpot so players will have the chance to walk away with a large cash prize.